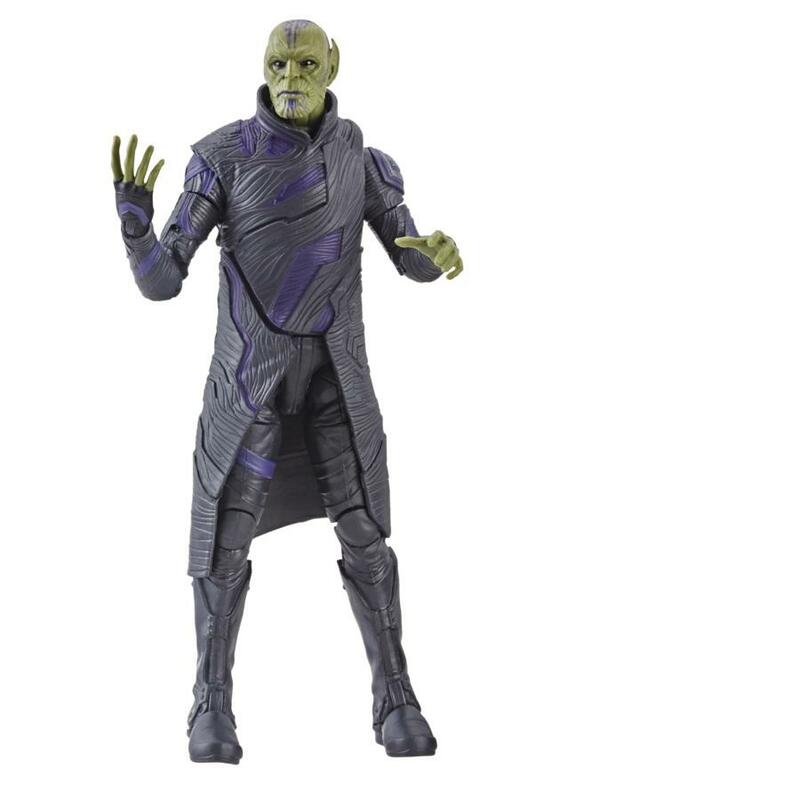 Following the new trailer, Hasbro has revealed their line of Captain Marvel movie figures. (HASBRO/Ages 5 years & up/Approx. 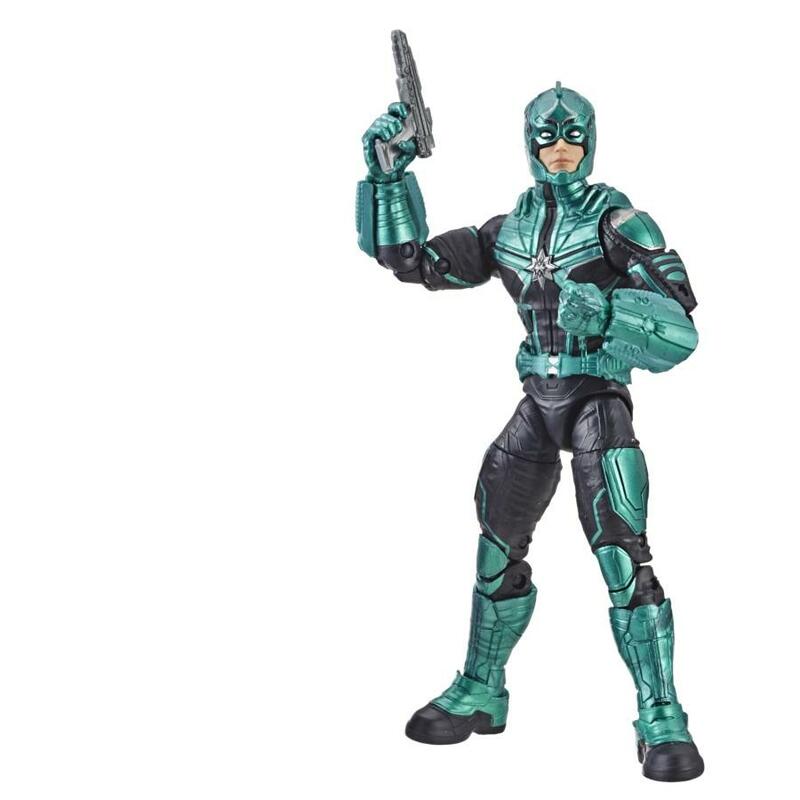 Retail Price: $15.99/Available: January 2019) CAPTAIN MARVEL is the leader of an intergalactic fleet who defends the universe with amazing energy-blasting super powers! Imagine CAPTAIN MARVEL blasting into action with this electronic light-up PHOTON POWER FX GLOVE, inspired by the upcoming CAPTAIN MARVELmovie, featuring lights and sound FX! Press the star button to activate effects and imagine blasting down villains like CAPTAIN MARVEL! Look for other CAPTAIN MARVEL dolls and toys to imagine suiting up to protect the universe like CAPTAIN MARVEL! Includes gauntlet and instructions. Each sold separately. Requires 2 AAA batteries, included. Available at most major retailers. 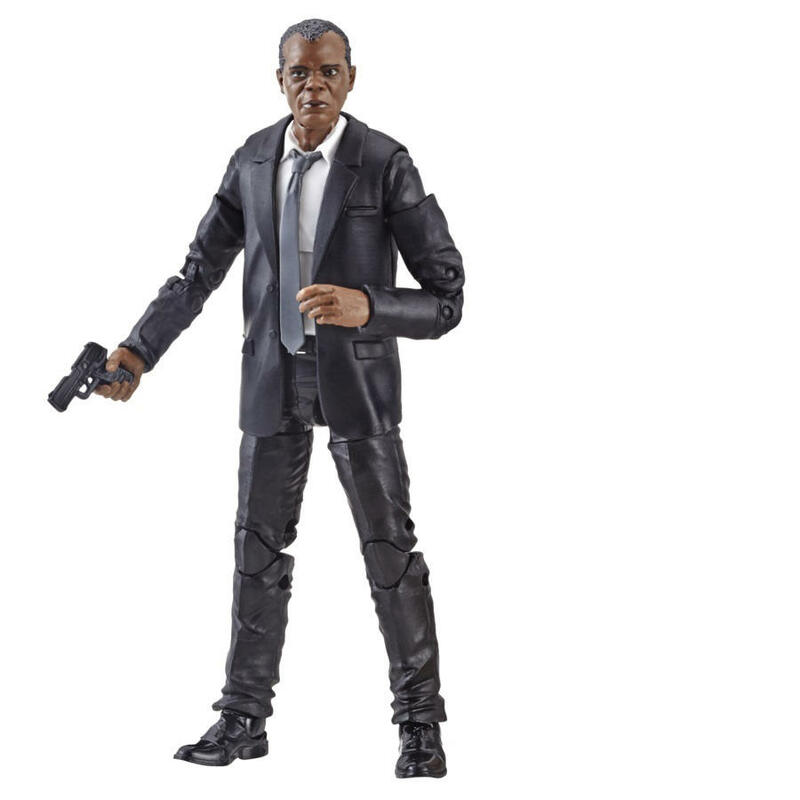 (HASBRO/Ages 6 years & up/Approx. Retail Price: $29.99/Available: January 2019) CAPTAIN MARVEL is a fearless leader who uses incredible energy-blasting powers to take down enemies and protect the universe! 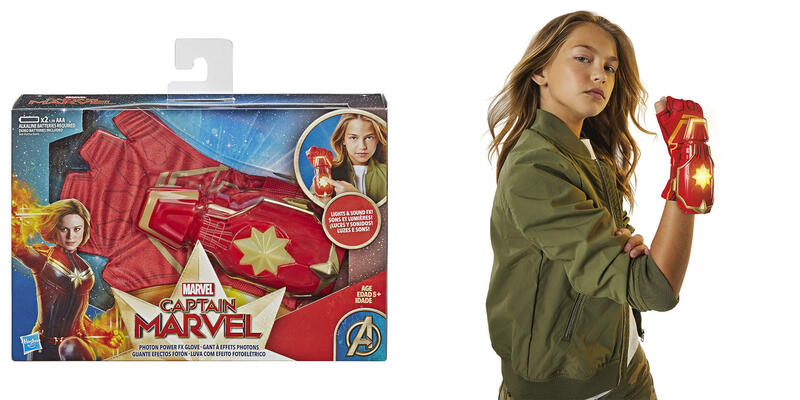 Imagine CAPTAIN MARVEL blasting into action with this 11.5-inch scale, electronic PHOTON POWER FX CAPTAIN MARVEL DOLL, featuring superpower-inspired lights and sounds and including accessories, and rooted hair. Doll inspired by the upcoming CAPTAIN MARVELmovie. Poseable CAPTAIN MARVEL doll features 11 points of articulation so kids can put their doll in dynamic poses and move her into action! 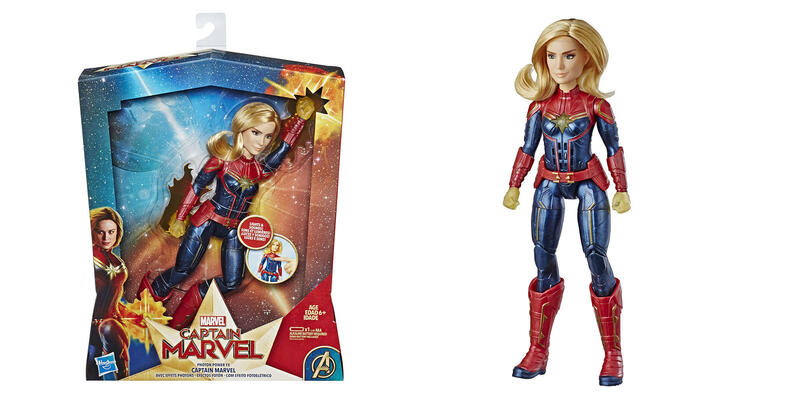 Look for all the CAPTAIN MARVEL dolls to imagine suiting up to protect the universe! Includes doll, belt, boots, and instructions. Each sold separately. Requires 1 AAA battery, included. Available at most major retailers. (HASBRO/Ages 6 years & up/Approx. 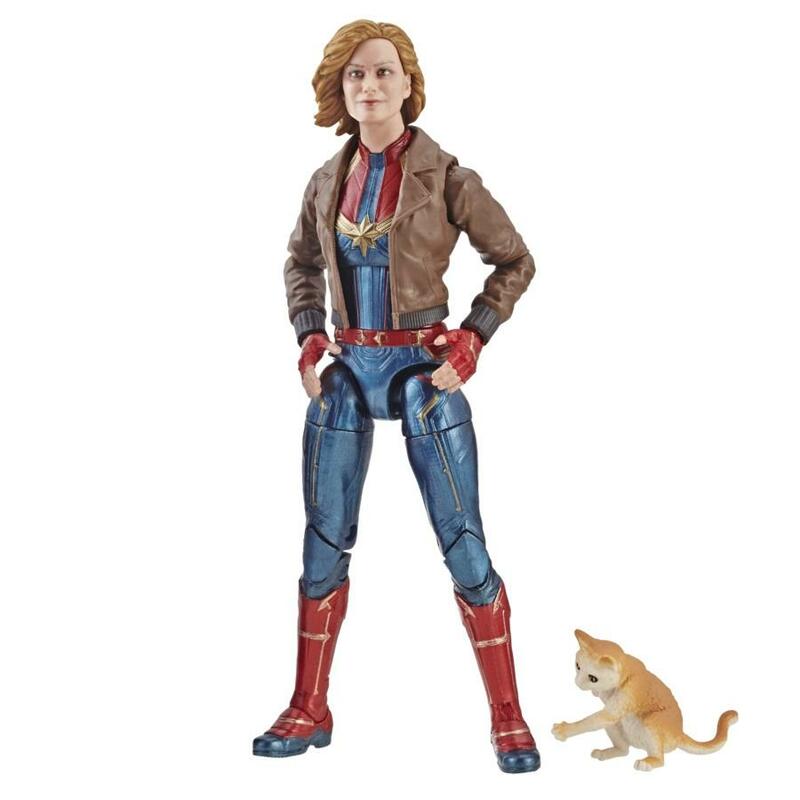 Retail Price: $24.99/Available: January 2019) Determination and a fluffy-tailed companion help guide CAROL DANVERS as she joins the Super Hero ranks as CAPTAIN MARVEL. Imagine CAPTAIN MARVEL commanding her fleet into action alongside her loyal companion, GOOSE THE CAT, with this 11.5-inch scale CAPTAIN MARVEL DOLL AND MARVEL’S GOOSE accessory, inspired by the upcoming CAPTAIN MARVEL movie! Includes full soft goods fashions and backpack accessory that fits GOOSE THE CAT inside! Poseable CAPTAIN MARVEL doll features 15 points of articulation so kids can put their doll in dynamic poses and move her into action! 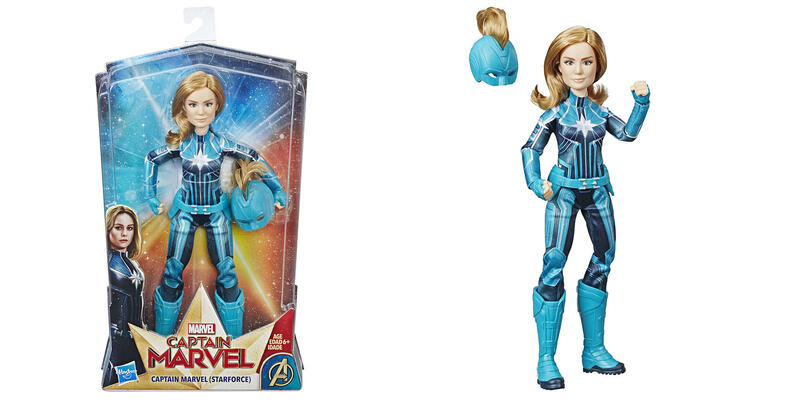 Look for other CAPTAIN MARVEL dolls to imagine suiting up to protect the universe! Includes doll, jacket, outfit, boots, creature, and backpack. Each sold separately. Available at most major retailers. (HASBRO/Ages 6 years & up/Approx. 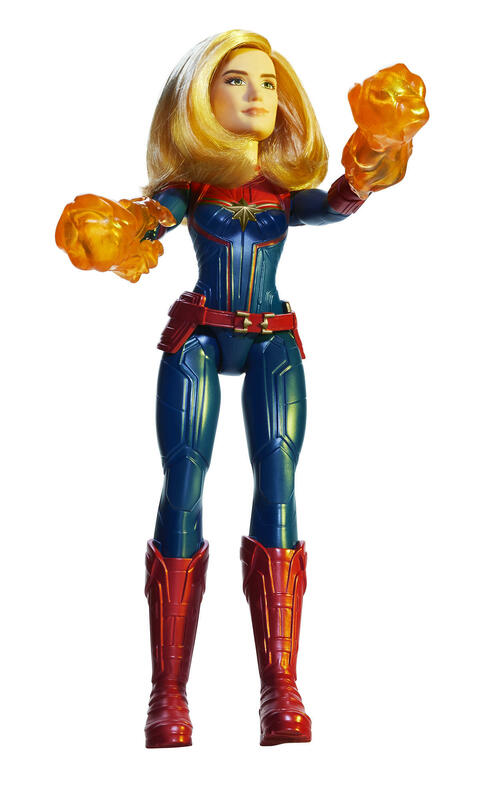 Retail Price: $19.99/Available: January 2019) A bold leader with a heart for justice, CAPTAIN MARVEL hones her energy-blasting powers to protect and defend the universe. Imagine CAPTAIN MARVEL leading a mission for intergalactic victory with this 11.5-inch scale CAPTAIN MARVEL (STARFORCE) DOLL, including full soft goods fashions and the CLASSIC MOHAWK HELMET accessory, inspired by the upcoming CAPTAIN MARVELmovie! Poseable CAPTAIN MARVEL doll features 15 points of articulation so kids can put their doll in dynamic poses and move her into action! 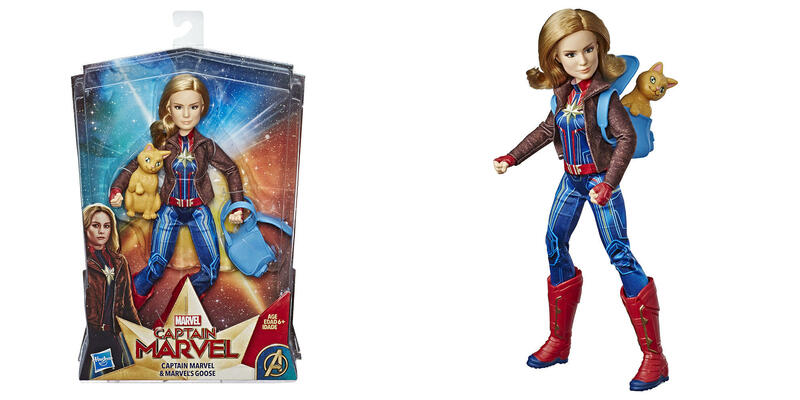 Look for all the CAPTAIN MARVEL dolls to imagine suiting up to protect the universe! Includes doll, outfit, boots, and helmet. Each sold separately. Available at most major retailers. (HASBRO/Ages 6 years & up/Approx. 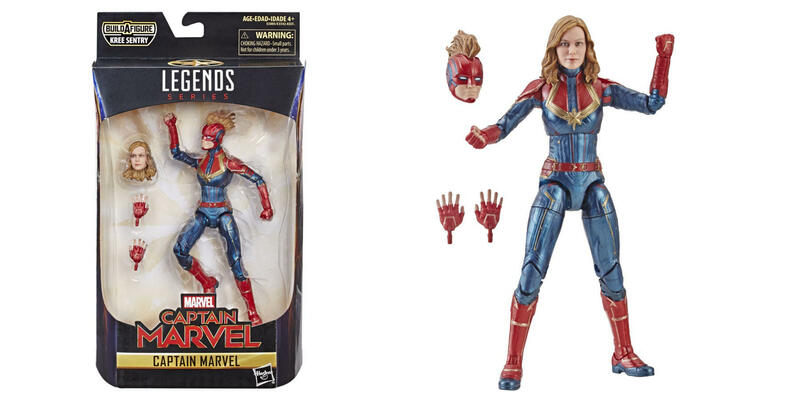 Retail Price: $12.99/Available: January 2019) An Earth-trained pilot turned galaxy-renowned leader, CAROL DANVERS is the energy-blasting hero, CAPTAIN MARVEL. Imagine CAPTAIN MARVEL blasting into action with this 11.5-inch scale COSMIC CAPTAIN MARVEL DOLL, including accessories, rooted hair, and 2 superpower-inspired blast accessories! Doll inspired by the upcoming CAPTAIN MARVELmovie. Poseable CAPTAIN MARVEL doll features 5 points of articulation so kids can put their doll in dynamic poses and move her into action! Look for all the CAPTAIN MARVEL dolls to imagine suiting up to protect the universe! Includes doll, belt, boots, and 2 blast accessories. Each sold separately. Available at most major retailers. The movie follows Carol Danvers as she becomes one of the universe’s most powerful heroes when Earth is caught in the middle of a galactic war between two alien races. Set in the 1990s, the film is an all-new adventure from a previously unseen period in the history of the Marvel Cinematic Universe.